Some rental businesses are designed around a retail model, where the customer might just walk in off the street and want to book something. This is not a problem using RentalDesk’s Retail Mode. Normally, you would create an equipment list, followed by the dispatch note and scanning equipment on to that equipment list. However, that is probably not the most efficient way to work in this type of situation. The RentalDesk NX “retail mode” makes it possible to create an equipment list and dispatch the equipment in one simple scan. 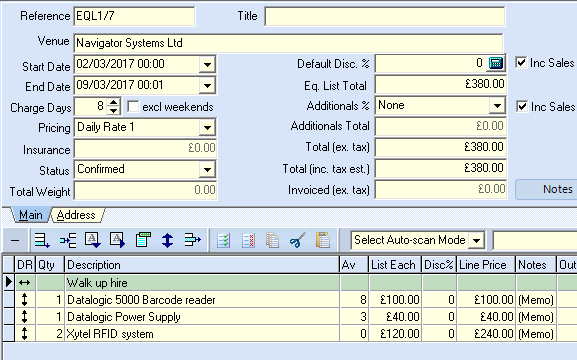 Of course, you can also use the scan to build a new equipment list to make it ready to dispatch the equipment later in the process.. perhaps when the customer has paid you for the rental. To build the list as you scan you will need to create and open an equipment list. 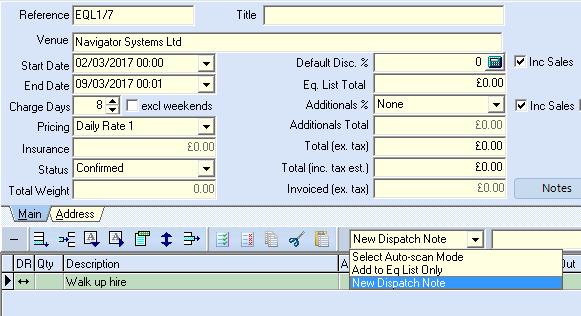 Depending on what is required, select the Auto-scan mode of either “Add to Eq List Only” or “New Dispatch Note“. Then simply scan a barcode and the equipment will be added to the list (and perhaps marked as out if appropriate) and the total price will be updated. 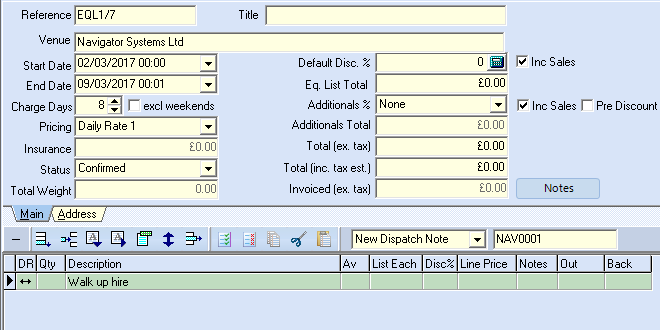 Then simply create your invoice and you are good to go! If you have enjoyed reading this article, please subscribe to our free newsletter and we will notify you when we write something new.